Hey guys! This week's TUNED IN post is going to be a little bit different. A few months ago, I was working with online music review + culture site, The Neon Mix. I would attend shows with them on occasion and photograph the bands during their set. 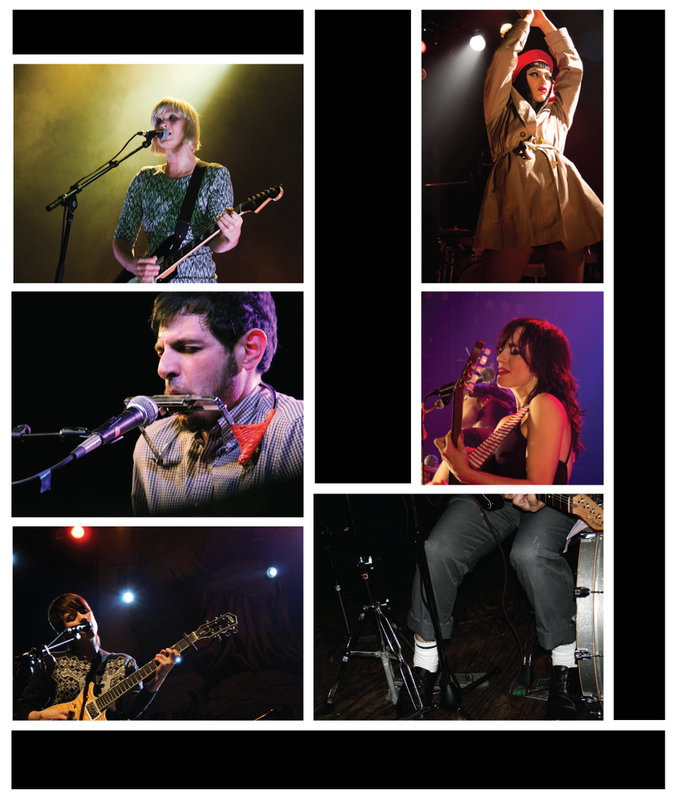 Anyways, below are some (just a little sample) of the live band photographs I have taken. I didn't want to spend a million years digging through my archives, so I picked some photos that were readily available. That being said, I thought it might be fun to share some of my photography - because I haven't really done so as of yet. **Do you know who the artists are? The venues? Can you guess? ** Haha.. maybe you were even at the shows! Say hi next time - I'm usually the girl with the massive camera lens pushing my way through the crowd. Expect to see more of my photographs on the blog (it's a summer goal of mine to take more photos - it gets so hard with work + life - but NO EXCUSES!!! ), and a PHOTOGRAPHY section added to my PORTFOLIO soon! **For those of you who didn't want to guess.. All shows took place in Toronto, ON. LEFT SIDE (from top): The Raveonettes, The Phoenix Concert Theatre, 2012. Vic Ruggiero, Lee's Palace, 2011. Tegan & Sara, Danforth Music Hall, 2008. Wow guys, it's been ages since my last post! I had a super busy/stressful/hectic week, and it stayed that way until I took a much needed day off on Sunday. I also took a few hours off today, and went to see This is the End - which is hilarious, and if you get the chance, you NEED to go see it. My celebrity crush, Mr. Seth Rogen has truly outdone himself. Today's TUNED IN post features, "A Lack of Color", by Death Cab for Cutie. One of my favourite bands since I was 15, I'm pretty sure I've loved everything they've ever done. But Transatlanticism has stood the test of time in my mind - definitely one of those albums that no matter how many times I've heard it, it never gets old. Ben Gibbard's heart-wrenching tales of life, love and loss - are just so beautiful. And there's just something about A Lack of Color that gets to me.. I think I have a case of last track syndrome.